Strawberry red hues, this is a sweet and refreshing summer wine. Plum and berry characters on the palate with a hint of tannin. Winemaking: The fruit was crushed, de-stemmed and cooled to 10 degrees C for 24 hours. After cold soaking the juice was warmed to 16 degrees C and inoculated with yeast. The skins were plunged every 6 hours until Baume 8 was reached where upon the wine was pressed from the skins. Fermentation then continued in stainless steel tank until the desired Baume was reached. The wine was cooled and sterile filtered to stop fermentation. History: Dolcetto is a black Italian grape variety widely grown in the Piedmonte Region, Italy. In Italian – Dolcetto – means “little sweet one”. Traditionally it makes a dry table red. 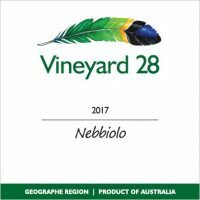 But similar to Brown Brothers, here at Vineyard 28 we have opted to make a distinctive fruit driven wine. Food Pairing: It is a great accompaniment to a warming winter curry, summer BBQ meats, or to simply enjoy as an aperitif with an anitipasto selection. Cellaring: Our sweet red Italian is best served chilled, and enjoyed whilst young and fresh. 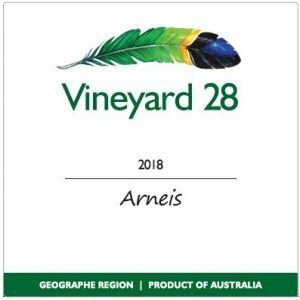 Award: Awarded a Bronze Medal in Class S2, Sweet Wines (white/pink sweet table wines such as Moscato), at the 2018 Geographe & WA Alternative Varieties Wine Show. Dolcetto is one of the grape varieties that is a part of our Italian range. Dolcetto has a strawberry red hues, this is a refreshing and sweet summer wine. Berry and plum characters on the palate with a hint of tannin. Indulge your senses and the palate, best served chilled. Enjoy our 2018 Dolcetto Freddo.